If you are viewing this Digest from a mobile device or have trouble seeing the pictures and photographs, click on the words Click here in the advice Having trouble viewing this email? Click here to view it online at the top of the digest to ensure you see the entire document. To have a project or event included in the District eDigest please provide the District Secretary with full details and an external link or a flyer if possible to help with advertising. Remember the Digest will be published once a week on Sunday where possible. 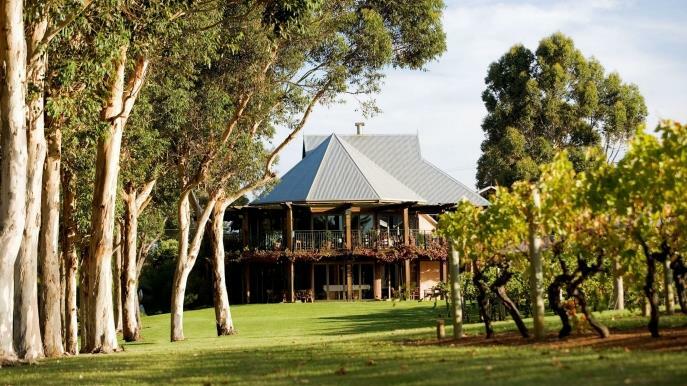 16-18 March 2018 District 9465 Conference at Margaret River. Any other enquiries should be sent to conferenceregistrations@rotary9465.org.au. We take action to empower educators to inspire learning at all ages. 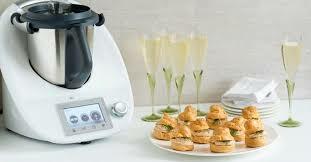 Have you ever wished that there was one kitchen aid that ‘did it all’, well this is it, the Thermomix! The winner will be drawn on 25 October 2017 & the winner will be advised. Please support this raffle by purchasing tickets yourself, promoting it to your family, friends, neighbours and colleagues. Any queries please contact Kay Phipps on 0438885494 or kay2.1959@hotmail.com. The Rotary Club of Como is holding its 6th Annual Car Show on Sunday 1 October 2017 at Wesley College, South Perth commencing 10am. On display will be around 200 classic, vintage, exotic and luxury cars and over 2000 people are expected to attend. Admission is $10 adults, $8 concession and gold coin for children under 18. All proceeds from the car show will benefit Rotary and Wesley community charities. Click here for the Flyer. Click here for the website. 11 October 2017 Business in Mandurah – Networking Host: Rotary Club of Mandurah Our hosts for the first BiG Event of the year is our local Rotary Club. Click here for the Flyer. Travel with a purpose … Hop On – Hop Off and join with the Muster for Mental Health; a mental health fundraising and awareness initiative of Australian Rotary Health with a drive from Perth to Adelaide from 12 October to 7 November 2017. Join our journey around Australia while on the road for mental health. Everything you need to know can be found in the invitation and at www.muster.org.au. The Rotary Club of Scarborough (District 9455) is having a Quiz Night at the Belmont Sports and RecreationClub Cnr Abernathy Road and Keane Street Belmont. Wednesday 8 November 2017 at 7pm - see the flyer here. ROCKINGHAM’S second Beach Cup horse racing carnival, run by the Rotary Club of Palm Beach, will be bigger and better this year. The White Lakes Brewing Rockingham Beach Cup will grow from two days to three, running across 10, 11 and 12 November 2017 and will start with a golfing tournament on the Friday at Secret Harbour’s Scottish links-style course. Saturday will be packed with the City of Rockingham Community Arts Festival on the waterfront, an elite invitation-only foot race, two criterium bike races (one male, one female) and climax with a lavish gala dinner and auction at night. Carnival attractions will include kids’ rides, performances on the stage, street performers, buskers, pop-up restaurants, sculptors, photographers, wood turners, a black smith pottery and glass displays. Six horse races on Rockingham’s main beach on Sunday will climax the big weekend. Fashions on the Sand will be another Sunday drawcard, alongside the continuing community carnival. Two ticket-entry marquees will be erected near the finishing post this year. Pre-release ticket sales (for sponsors, Rotarians and other special interest groups) will start on 30 August 2017. Tickets sales to the general public will commence 5 September 2017. Our very own RI President Ian Riseley and partner Juliet, have asked all clubs to assist their goal of planting one tree for every Rotarian - 1.2 million before Earth Day on April 22, 2018. See the brochure here for further details. Can this be your club's way to show the world you're Making a Difference?? for 2018 are open now! RYLA is an intensive eight-day program designed for 18-28 year olds with leadership potential and a commitment to community service. The program is a unique opportunity aimed to bring participants out of their comfort zone and challenge them to think outside the square while actively using and building on their existing skills and knowledge. RYLA includes seminars, workshops, physical activities and team games relating to areas including Communication and Public Speaking, Leadership, Team Work and Group Dynamics, Problem Solving and Decision Making, Goal Setting, Time Management and Self Awareness and Emotional Intelligence. Applicants are interviewed prior to acceptance onto RYLA. Successful applicants will have the energy, commitment and motivation to develop their leadership potential and be willing to challenge themselves physically and mentally over the course of the program. RYLA is held at the Serpentine Camping Centre from Saturday 13th January – Saturday 20th January 2018. Rotary Club Sponsorship for a RYLA participant is $800, and the participant contribution is $250. This includes all activities, accommodation and meals for the week. See the RYLA flyer here. 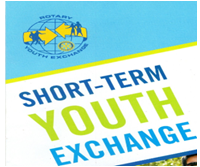 District 9465 Short Term Youth Exchange Committee is seeking students for Short Term Exchanges in 2018. Our counterparts in those countries that exchange with us are currently calling for applicants for next year (2018). Rotary Short Term Exchanges provide a unique opportunity to experience the cultures of a different country and a different way of life. All applicants must be sponsored by a Rotary Club and outbound students must attend school where possible and be prepared to be interviewed by the District Committee or a member of the sponsoring Rotary Club. Students must attend a full briefing before departure. The whole program is flexible and can be adapted to suit individual students needs. On Wednesday September 13, Rotarians from across Western Australia gathered for Australian Rotary Health’s inaugural Lifting the Lid: Mental Health and Our Kids community forum – to discuss this important issue at the University Club in Perth. Organised by both West Australian Rotary Districts and generously sponsored by the Perron Group, the event had a great turnout, including health professionals, researchers, students and representatives from mental health organisations.